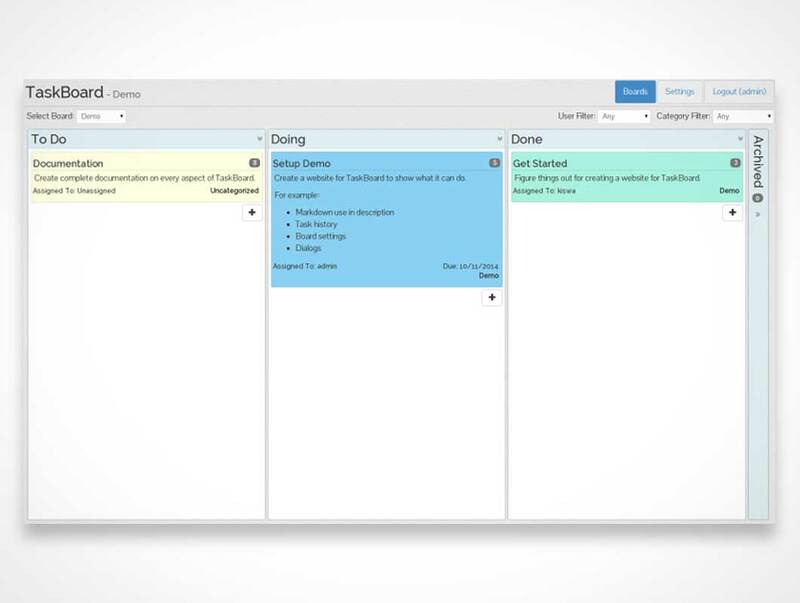 A Kanban-inspired app for keeping track of things that need to get done. The goal of TaskBoard is to provide a simple and clean interface to a functional and minimal application for keeping track of tasks. It’s not trying to be the next Trello or LeanKit.